"As a buyer I’ve been ever so impressed with the service and communications from you. You made the whole process of buying our £60K yacht simple, smooth and secure and I have no doubt that the vendor feels the same. Your professionalism and expertise gave me confidence throughout the buying process and I’d have no hesitation in recommending WhyBoats to anyone looking to buy or sell their vessel who’s looking for quality representation from start to finish. I’m sure WhyBoats will prosper with the set fee model you’re using – people want to know exactly what they’re in for these days and I wish you good luck in your growth." "Thank you very much for everything. Your service is impeccable"
"I have been delighted with your service and attention to detail"
"I’d like to thank you for the prompt, informative and efficient manner with which you have handled this sale – most impressive!" "Thank you for all your help with this and excellent service. May we wish you success." As it turned out we really liked the boat and despite the fact it had been neglected we decided it was the one for us. During the purchase Ian was constantly on hand to offer help and advice and then latter dealt with the handover and arranged for transportation to Kent. I wonder how many other brokers would have been prepared to have done all of that? We now have the boat home and when the remedial work has been completed look forward to spending many happy hours with it. We both feel very grateful to Ian and Whyboats for helping to launch us on our adventure with our lovely boat! Marks out of 10, probably 15 and if you are looking for a friendly helpful service, WHY go anywhere else?!" 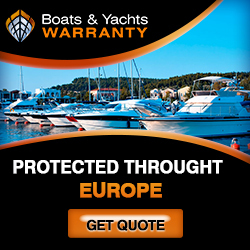 "My initial concern was that a new boat sales concept with fees upfront was a bit unusual. Talking to the people at WHY before listing gave me confidence they had knowledge of my boat and its market and I decided to give WHY Boats the business. I had been dealing with Justin and Ian and found them both to be thorough and knowledgeable in their dealings with me That gave me confidence my boat would be well presented to any future buyer. The boat was well marketed and sold. I volunteered to take the excellent conveyance service as well. Highly recommended,"
"I’m pleased to confirm that Seamoon, our Sadler 32 that you were kindly marketing, sold successfully this afternoon… thank you for your help and advice in recent months, especially the bleaker months of endless rain when we viewing seemed unlikely. I’ll gladly be an advocate for your service."